Tanzanite, one of December's recognized birthstone, is noted for its trichoism: when a gem exemplifies three unique colors when observed at three different angles. This stunning birthstone displays deep royal blues, rich purples, and strong burgundies. Tanzanite was first discovered in 1967 in the foothills of Mount Kilimanjaro, in the East African country of Tanzania. It occurs in nature as reddish brown and will be heated to bring out tanzanite's signature trichoism. 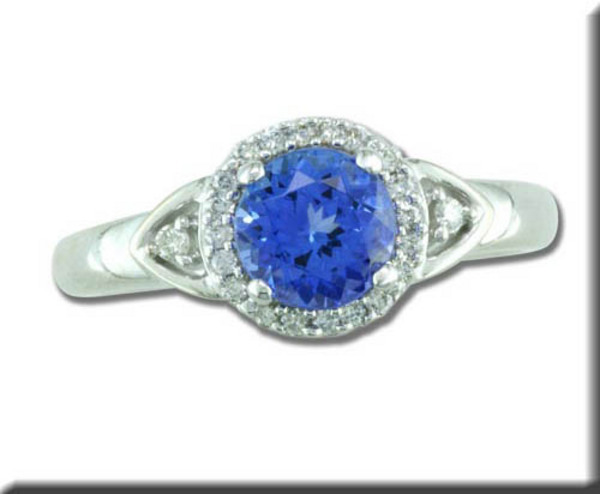 In 2002, it was named one of December's blue birthstones by the American Gem Trade Association. Tanzanite comes from the family of zoisite and is sometimes then referred to as blue zoisite. First sold by American company Tiffany & Co., the company the name sounded too harsh or unrelatable a term, so it was renamed to tanzanite, based on its country of origin. Tanzanite makes striking jewelry, including earrings and rings and pendants. The warm and inviting midnight blue hue makes it a perfect anniversary gift (suggested for the 24th) or as a holiday gift this December.